First national short take-off and landing championships rated a huge success. A second east-west runway at Melbourne International (ML) is likely to increase the pressure on Essendon's runway 08-26. May-June 2019 Australian Flying is now ready for reading. Sonaca Aircraft is looking to secure a chunk of the two-seat trainer market with their Sonaca 200. Bendix King has debuted new integrated flight deck avionics at AERO 2019. Tecnam announced this week that it has produced a certified version of the popular P2002JF LSA. Inside de Havilland Mosquito KA114 complete with sights and sounds. The latest version of Tecnam's P2008 adds a little bit of luxury to the LSA market. 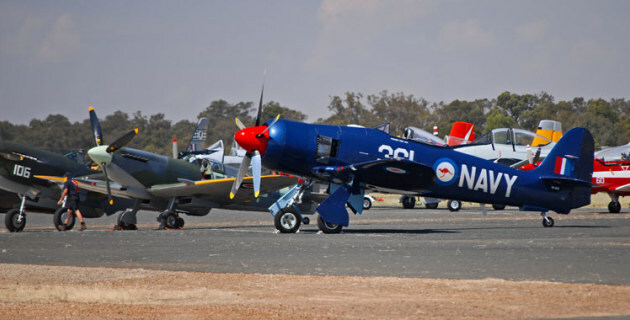 Temora Airport is to get $5 million in upgrades with government funding. From South Africa comes a sad tail of a Piper Lance that just couldn't get airborne.